Amazing tri-level home situated on an elevated lot in Pt. Fermin. 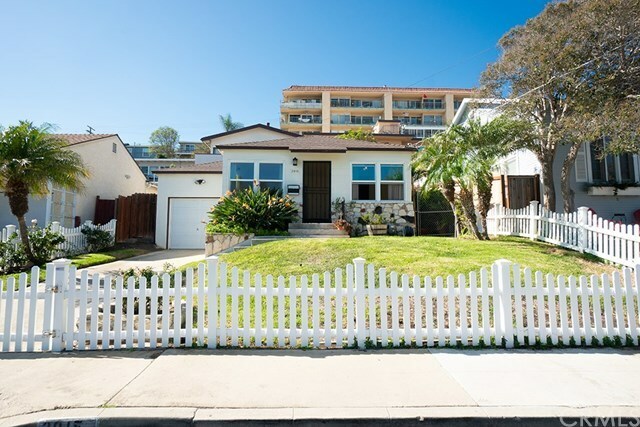 Within walking distance of Cabrillo Beach, schools & the newly renovated Ports Oâ Call. This charming home features 3 bedrooms, 2 baths, 1569 sq. ft. of living space. The interior is in original condition, ready to be customized to your liking. This home includes a formal dining room/living room with peek-a-boo views. The galley kitchen offers a second eating area, with access to the veranda. The main living space flows to a den that overlooks the backyard; perfect for enjoying indoor-outdoor living. A finished covered patio area can double as an office, studio or play room. Bedroom 1 has a patio entrance with stunning French doors. Bedroom 2 is a junior suite with walk in closet & built-ins. The master suite includes a balcony that provides MUST SEE views of the entire harbor & refreshing ocean breezes.The home has a 1 car garage with street access & a 2 car garage with alley access equipped with full workbench, ample storage & washer/dryer hook ups!